The kids and I made these Snickerdoodles the other day and Jason said they were the best we've made yet! The good thing is we shared at least half of them with neighbors, the sad thing is our little stash didn't last through the day! 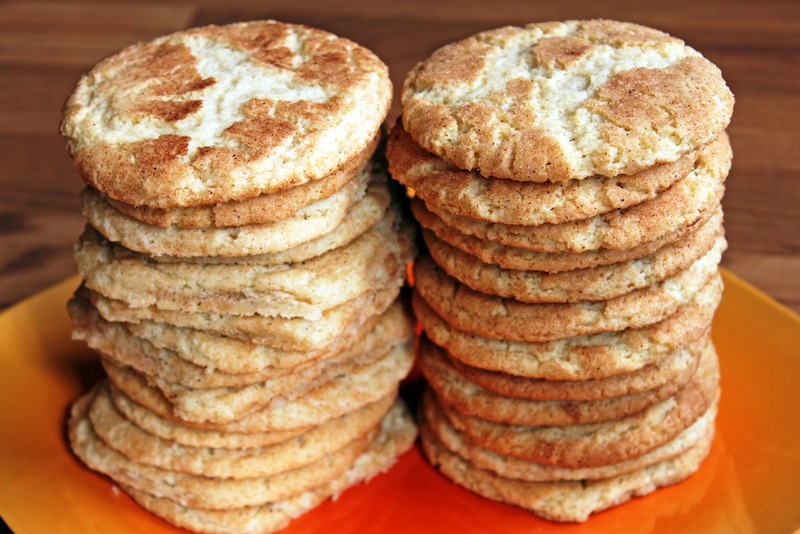 Most Snickerdoodle recipes I've found call for shortening instead of butter. I think butter adds more flavor to the cookie. 1.Preheat oven to 400 degrees F (200 degrees C). 2.In a large bowl, mix together the butter and 1 1/2 cups of white sugar until smooth. Stir in the eggs one at a time, blending well after each. Add vanilla. Combine the flour, baking soda, cream of tartar and salt; stir into the batter until blended. 3.Roll the dough into balls. Roll in a mixture of 4 tablespoons sugar and 4 teaspoons cinnamon. Place 2 inches apart on an ungreased cookie sheet. 4.Bake in the preheated oven for 8 to 10 minutes or until lightly browned, but still soft.